Will a European Cypress Tree grow in Cullman AL. 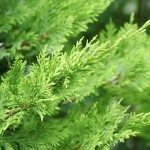 Is it possible to grow a European cypress tree in our Cullman AL area? I have received one each Christmas in recent years but have never succeeded in keeping them alive until spring. What are the ideal conditions for growth, both inside and out? Is Cullman in Zone 7? Thanks for your help. There isn't a lot of care to be taken with these. Could you include a picture to help me to see what size container, and any other possible issues? It could be likely that the tree gets rootbound if it is in a smaller pot. These need quite a bit of light to survive as well, so this might be the issue too.